Nemeth Designs Holiday Daily Deals - 50% off the Messerschmitt-Bölkow-Blohm Bo 105 for FSX. Gary Summons has posted early development previews from UK2000 East Midlands Airport (EGNX) for FSX and FS2004. Warbirdsim has posted the first development screenshots from the upcoming Bell P-39 Airacobra for FSX. Outerra has posted another beta video from the Outerra Terrain Engine currently under development. Real Environment Simulations has announced development of the free REX Essential update to Real Environment Xtreme. Orbx has posted new preview screenshots from the upcoming Jefferson County Intl. Airport (0S9) for FSX. Oliver Pabst has updated the beta version of Airport Enhancement Services (AES) for FSX and FS2004 to version 2.20b. 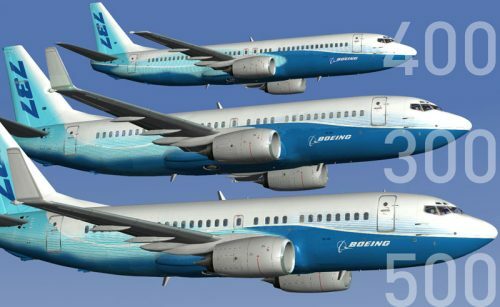 Aerosoft is offering the Airbus X for FSX at 25% off today as part of the 2011 Christmas countdown. A2A Simulations has posted another teaser screenshot from the upcoming Accu-Sim Curtiss P-40 Warhawk for FSX. FSBreak episode 103: Ben Supnik talks X-Plane 10 and more is now available at the FSBreak Website. Nemeth Designs Holiday Daily Deals - 50% off the Sikorsky CH-53 Sea Stallion for FSX. TropicalSim has announced development of Washington National Airport (KDCA) for FSX and FS2004. The freeware Vitoria - Eurico de Aguiar Salles Airport (SBVT) is now available to download at Terra Brasilis. ArezOne-Aviation Soundstudios has released the Cessna R182 Skylane RG SoundSet for FSX and FS2004. PC Pilot - Issue 77 - January/February 2012 is now available to purchase at the PC Pilot Website. Oryx Simulation has released the Canadian Airports 1 Package for FSX. Details at the Oryx Simulation Website. Oryx Simulation has released Chilliwack Regional Airport (CYCW) for FSX. Details at the Oryx Simulation Website. - Variety of static aircraft. Khamsin has posted a cockpit render from the Max Holste MH.1521 Broussard for X-Plane in Development. The freeware Torino-Caselle Airport (LIMF) for FSX is now available to download at Volo Virtuale Torino. Orbx has posted some more views from the soon to be released Orbx Harvey Airfield (S43) scenery for FSX. Orbx has released the FTX North America - Blue - PNW Patch 004a. Now available at the Orbx Support Website. Synchro-Soft has released the freeware Cessna 172 V2.5 Soundset for FSX. Download at AVSIM. Nick Churchill has posted more preview pictures from the upcoming Rockwell OV-10 Bronco for FSX. Aerosoft is offering Madeira X (LPMA) for FSX at 25% off today as part of the 2011 Christmas countdown. A2A Simulations Spitfire Mk1a "Getting to know your Aircraft"
Brad Leyland has posted video tutorial - part one to the Spitfire Mk1a for FSX from A2A Simulations. The Microsoft Flight Team has posted an article on the sound evironment in the upcoming MS Flight. Nemeth Designs has started the Holiday Daily Deals with 50% off the Aerospatiale SA-2 Samson for FSX. Thai Creation has released Macau International Airport (VMMC) for FS2004. Now available at SimMarket. - All major airport buildings included with high resolution textures and beautiful textures in the night time. - Macau city and major buildings are included. - Non effect for both VHHH and VHHX. HiFi Technologies is offering a pre-release version of Active Sky 2012 for FSX to current users of Active Sky Evolution. McPhat Studios has posted another promo video of the freeware AAL Astrojet HD Textures for the PMDG 737 NGX. LatinVFR has released the version 1.1 update to Miami International Airport (KMIA) for FSX and FS2004. - Updated AFCAD, fixing major bugs, both performance wise and also closing the passenger terminal assignments for only passenger airlines. - Concrete textures less bright. Based on feedback some users mentioned that the concrete textures were too bright. - Wrong jetway gate number. We had some jetways with the wrong gate numbers in the north terminal, this has been corrected. - We added made the photo scenery in many areas become more detailed and look less blurry. Orbx has posted new preview screenshots from the upcoming Ketchikan International Airport (PAKT) scenery for FSX. Orbx has posted the final preview images from the soon to be released Orbx Harvey Airfield (S43) scenery for FSX. Orbx has released the latest region in their award winning FTX Series, New Zealand South Island for FSX. - Over 151,000 sq km of FTX scenery! The freeware USS Nimitz & USS Eisenhower version 2 scenery for FSX is now available to download at Rikoooo. - New "Underway Replenishment" configurations for Nimitz and Eisenhower. Ideal for VERTREP operations with helos. - New model of fleet oiler USNS Patuxent T-AO 201. Features landable helipad and night lightning. - Fixed the issue that caused the player's plane to fall down on the water when entering the hangar deck from #3 elevator. - Corrected some inaccuracies in the aft radar tower and in the island. - Added animated catapult "shooter"
- Additional catapult crew for cats #3 and #4. - New texture for catapult shuttles. Drzewiecki Design has posted the final previews from the soon to be released Kraków Balice 2012 (EPKK) scenery. Carenado is offering discounts of up to 60% during the Holiday Sales Event. Available until December 25th 2011. Aerosoft is today offering the Bell UH-1 Huey X for FSX at 25% off as part of the 2011 Christmas countdown. Aerosoft has posted new preview pictures from the upcoming Maastricht Aachen Airport (EHBK) for FSX. DreamFoil Creations has posted a short preview video from the upcoming x737 Sound Package for X-Plane. The feelThere Boeing 737 Pilot in Command Evolution for FSX is now available at Wilco Publishing. The Golden Gate - San Francisco scenery for X-Plane 10 by Tom Curtis can be previewed in this YouTube Video. The VertigoStudios Van's Aircraft RV-8 for FSX is now also available to purchase at SimMarket.